Meridian Square is a 4-story condominium development in a terrific Addison Circle location with lots of shops and restaurants within walking distance. Built from 2014-2017, Meridian Square features a community swimming pool, in-unit laundry, and private balconies. 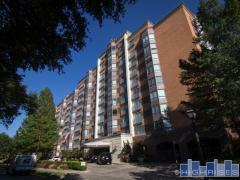 Have any comments or questions about Meridian Square Condos? Ask your question and/or share your thoughts about this Building. Please let me know when the next phase is ready to sell at Meridian Condos, Addison, TX. Thank you. We are seeking a one floor about 1600 sq ft.